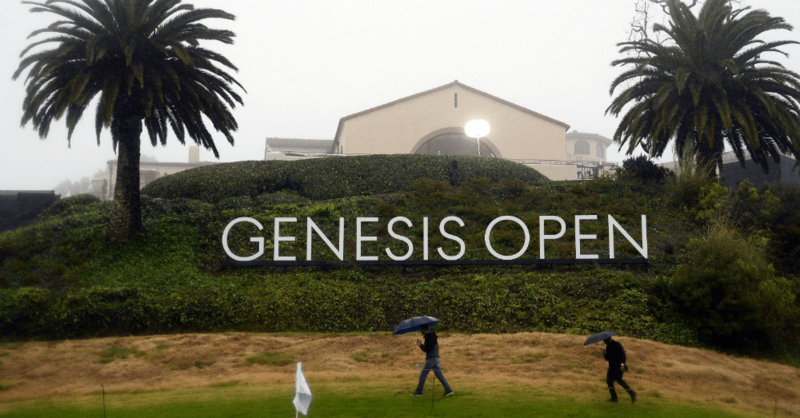 Last month, the Genesis Open PGA Tour Event was held at the Riviera Country Club. This is an event that’s taken place for the past three years with Genesis as the name sponsor. One of the strongest golf fields in the world was present at this event and it was broadcast live on CBS and the Golf Channel to give us the experience we want to admire and enjoy from afar. For those in attendance, there were several amazing events and experiences offered that make this an event that was a lot of fun during the golf weekend. This lounge was located in the heart of the Riviera Club at Hole 14. This was a first-class fan lounge open to all guest with soft seating and unobstructed views from the tee to the green of this hole. This was the perfect place for many to enjoy the comfort, luxury, and captivating moments during tournament play that took place at this particular hole to give a view of what attendees wanted to see. This studio was also located at Hole 14 at the Genesis Lounge and it was added as a new feature to the event this year. This created a versatile area at the back of the lounge where live tapings of social and digital content took place during the week. This was a great opportunity for guests to see and interact with some of their favorite personalities. Important to nearly every event we attend anymore, the Genesis Open provided complimentary charging stations that were located at a variety of the hospitality areas along with free sponsored Wi-Fi throughout the course. It’s important to let customers stay connected the way they want and this was one way to make that happen. For those who would be enjoying their time at the Genesis Lounge, a complimentary shuttle was offered using golf carts to take guests from the entrance of the course to the Lounge to be able to enjoy the experience and see the action at this hole. This enhanced the experience offered at this incredible location. It wouldn’t be a complete event unless the products offered by the sponsor were showcased somewhere. All three of the Genesis sedans, the G90, G80, and G70 were on display to give a look at these amazing cars. They were located at the Genesis Entrance Pavilion, the Genesis Lounge, and at Hole 16. The cars were also on display at the Genesis Skybox and the Winner’s Display at the base of the Hole 1 tee. Getting to and from the event means that a guest might need a lift to get there. A few Genesis-wrapped shuttles were provided to shuttle guests from the main entrance to the Genesis Lounge and from the main entrance to the Uber Lot at Paul Revere Middle School and back. The Genesis Open was a huge success once again and a lot of fun for those who attended the event. If you’re looking for an amazing new luxury car to drive, you should see the team at your nearby Genesis dealer today.